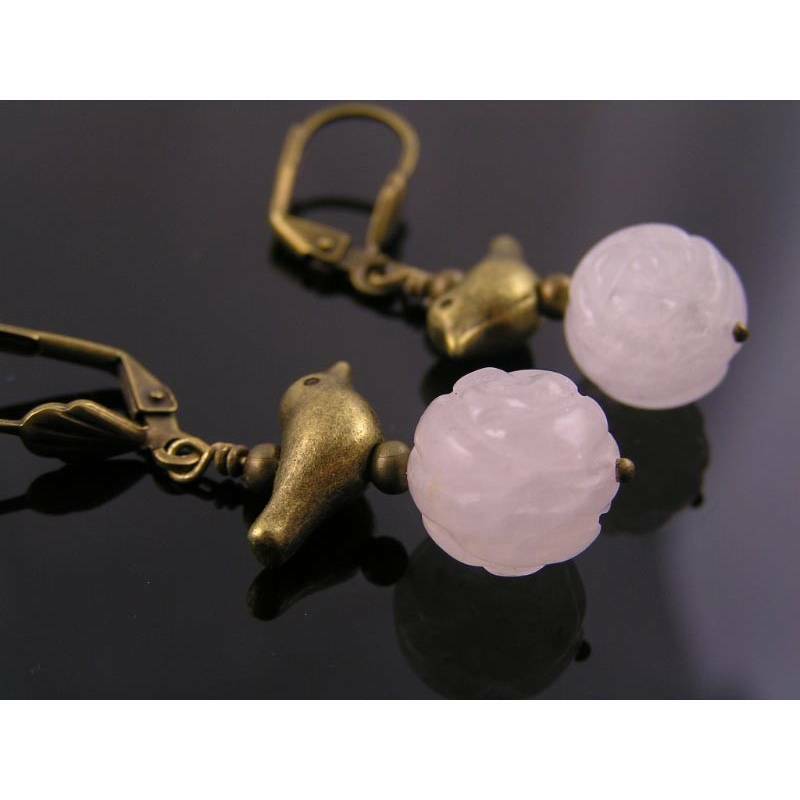 These larger natural rose quartz beads are carved into little roses - how very fitting. 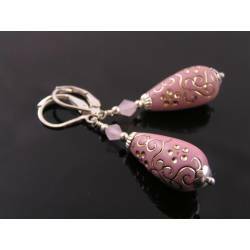 The colour of the beads is a very pale pink - all natural. 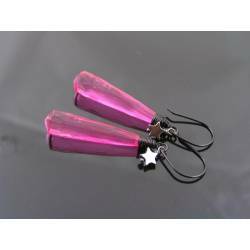 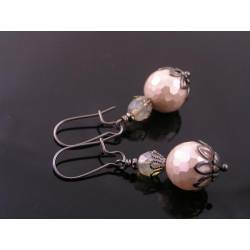 Most of the bright pink rose quartz you can find these days is heavily dyed to achieve that colour. 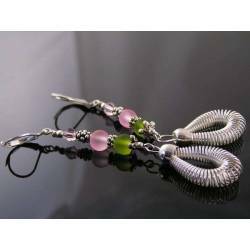 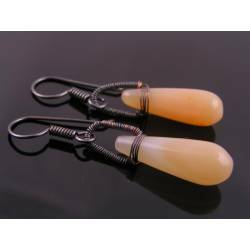 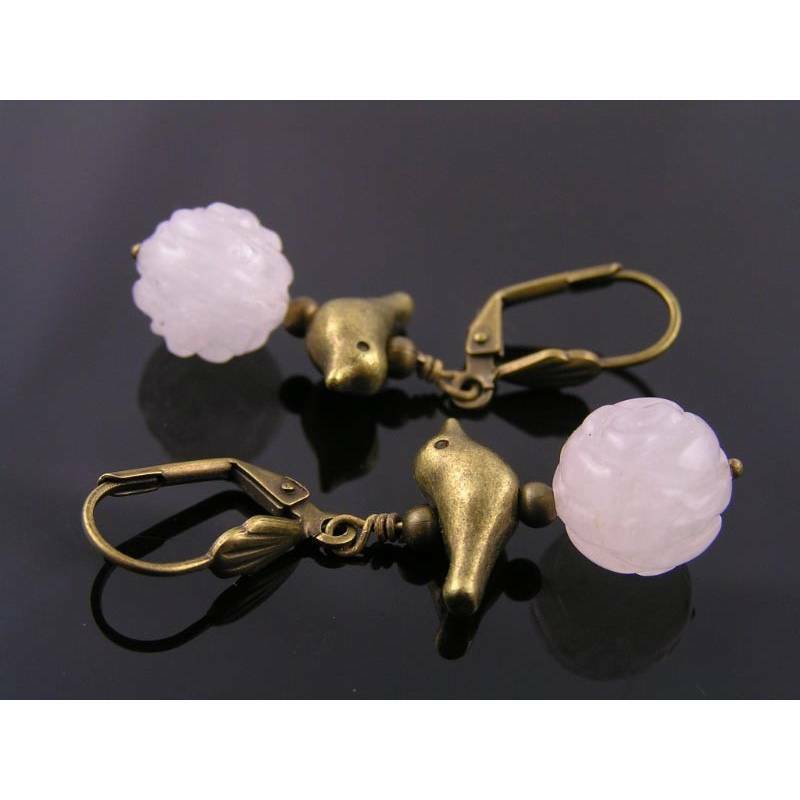 The 12mm rose quartz beads are topped by little birds and then connected to secure lever back ear wires. 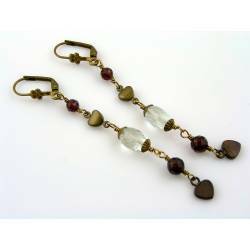 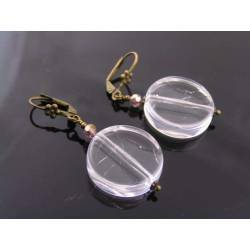 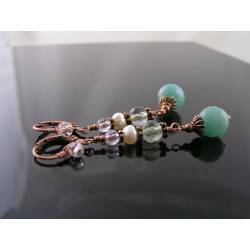 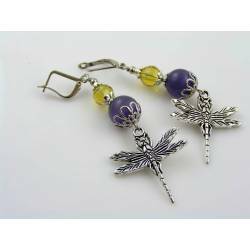 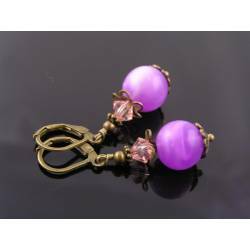 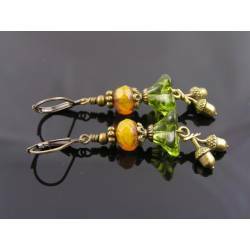 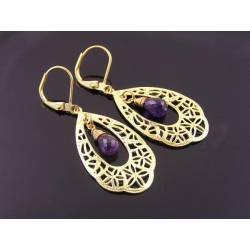 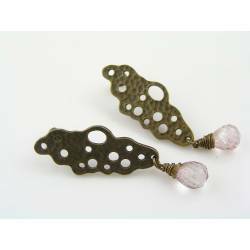 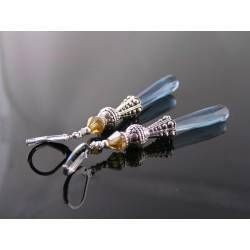 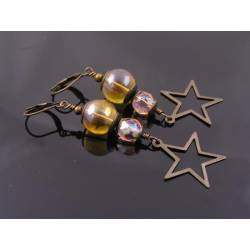 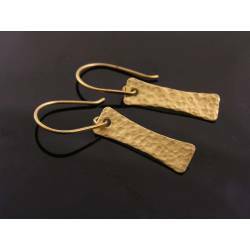 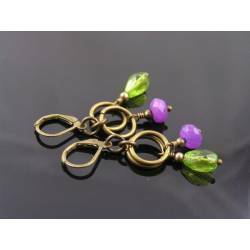 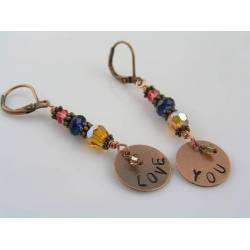 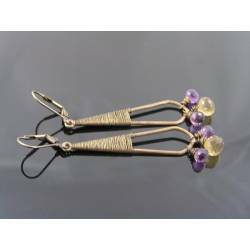 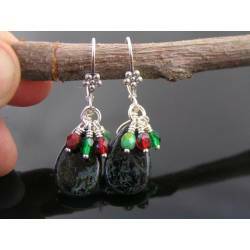 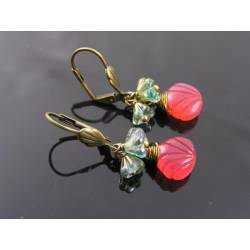 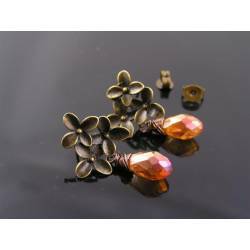 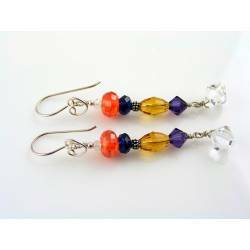 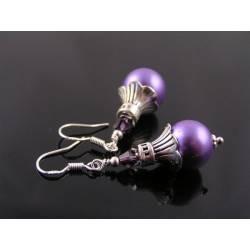 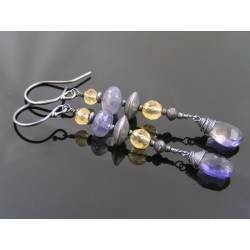 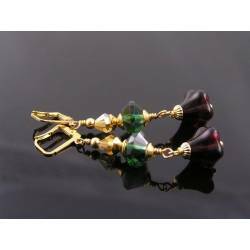 Total length of the earrings is 4.5cm, all metal is antique bronze finished. 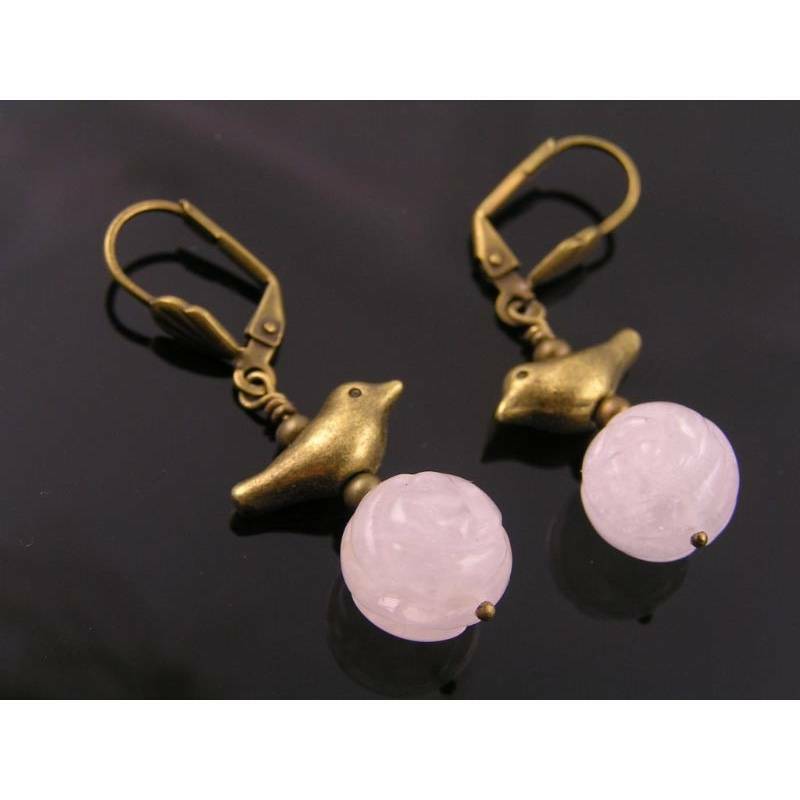 * The last photo shows a matching rose quartz and bird necklace we have in stock.